Store harmful chemicals and materials and keep them protected!... 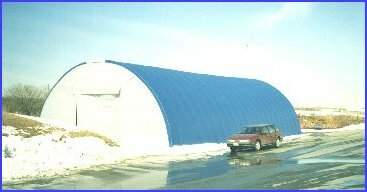 The size of this DomeShelter™ is 36 ft. x 17 ft. x 81 ft. 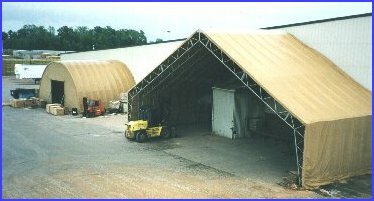 Covered port protects workers and materials from the outside elements!... The size of this DomeShelter™ is 72 ft. x 32 ft. x 27 ft.